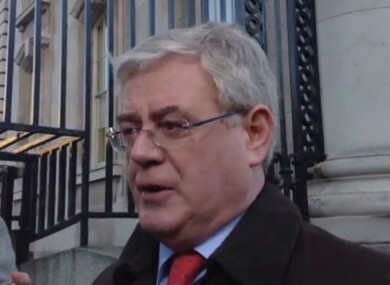 THE TÁNAISTE HAS said that the public will “have no tolerance” for electricity or power disruption in the event of an ESB strike. He was speaking before this morning’s Cabinet meeting, and was asked about the news that ESB workers voted for strike action. It emerged yesterday that the ESB Group of Unions will meet this Friday to decide the next step following the vote, in which 87.5 per cent of those balloted were in favour of industrial action. The issue centres on a pension dispute, with the ESB GoU saying that the company breached a 2010 agreement that was supposed to address the company’s defined benefit pension scheme, which had a deficit of €1.9 billion. They said that in 2011 the ESB breached the agreement by describing the pension scheme as a defined contribution scheme, which transferred the risk in the scheme onto members. The Tánaiste said that the issue relating to the pension scheme “needs to be discussed” and “should be resolved around the table”. He said that the public will have “no tolerance” for electricity disruption and power cuts in the event of a strike. Meanwhile, Minister Brendan Howlin said that the dispute is a matter for the ESB to deal with. But he added that “insofar as any dispute in the ESB has an impact on our recovery, and on the economy and on job creation,” and “the security of energy supply is an absolutely basic fundamental for any economy, obviously it is a matter for concern”. He said that he will be watching how the discussions develop. Email “Gilmore: Public will "have no tolerance" for electricity disruption ”. Feedback on “Gilmore: Public will "have no tolerance" for electricity disruption ”.